What does a dehumidifier do? 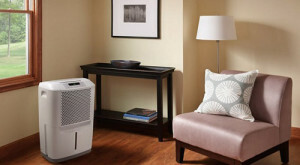 • The Air Geeks, reviews of air conditioners, dehumidifiers and air purifiers. Blog, Dehumidifiers » What does a dehumidifier do? The dehumidifier is a very useful tool in daily life: some mobile air conditioners have a dehumidifier function, but not all. So, what does a dehumidifier do? Do I need to purchase a dehumidifier. What if I already have a mobile air conditioner? Overview. A dehumidifier lowers the humidity of the air in an enclosed environment . Indeed, excessive moisture has adverse consequences for the interior of houses or buildings in general: mold, odors, dust mites, and slow deterioration of the interior . The sleek design of the DD50P… and its hose! 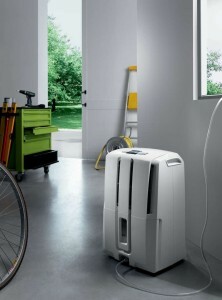 Some mobile air conditioners have a dehumidifier function. The function is often not very powerful, but that said, it does work to lower humidity in most homes. For others, a dehumidifier is a very useful tool for regulating indoor air. It filters the air and condenses it to remove moisture. This water is collected in a tank that is emptied several times a week. Very simply said, a dehumidifier is a box in your house that you use to lower the humidity. 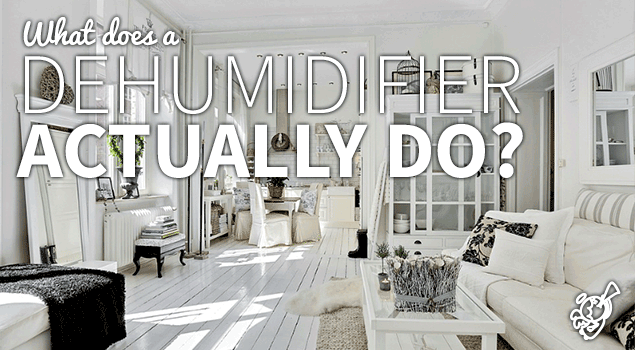 Why would you need to lower the humidity rate in your house? Because humidity is a cause for the development of moisture, cracks, mildew, bacteria and viruses polluting the inside air in your house. Some dehumidifiers can make up for a cozy atmosphere! By using a dehumidifier, you lower the humidity rate to an acceptable level, as it liquefy humidity in the air, allowing you to collect it under the state of liquid water. Ready to buy a dehumidifier? With the Air Geeks, we’re here to support you with your choice : check out our dehumidifier comparison table !